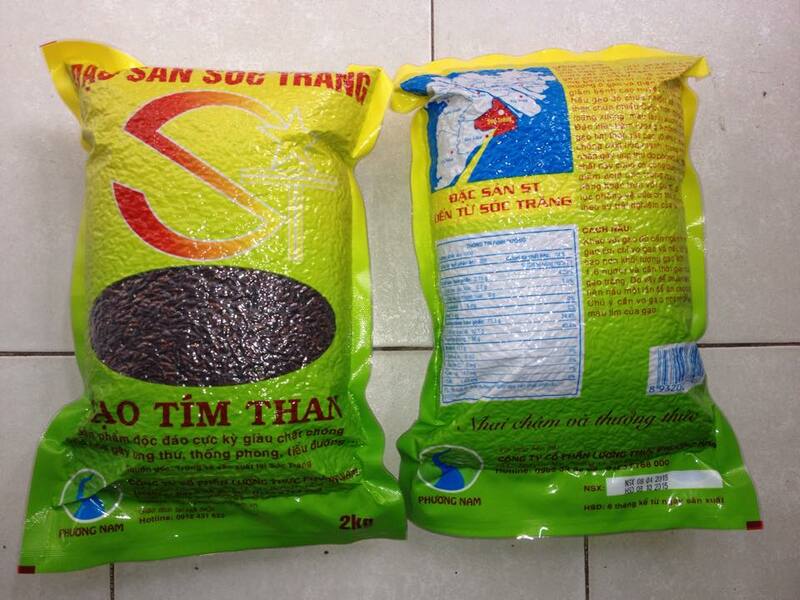 What is the Purple rice of Soc Trang Province in Viet Nam? Purple rice have been special food of Soc Trang province where is a famous area of the Mekong Delta in Viet Nam. They were grown in the salty water after the farmers had harvested the prawn so that they inherited the sediments and residual nutrients in ponds. For this reason, it considers that purple rice have been cultivated with the organic method because a little fertilizer and chemical pesticides were used on this process. This rice is very safe for our health. Purple rice were carefully created by Mr Tran Tan Phuong who has been a PhD degree in genetics and they were developed of breeding and commercial marketing by Mr Ho Quang Cua who had been an engineer belong to Deputy Director of the Department of Agriculture and Rural Development in Soc Trang Province. Purple rice contains very high quality of anthocyamin agent (about 0.4%) which a natural pigment has many biological activities such as resistance to oxidation quarter – highly, preventing the decline in resistance, restraining the rising growth of cancer cells. Why should we use the Purple rice of Soc Trang Province in Viet Nam on the meal every day? 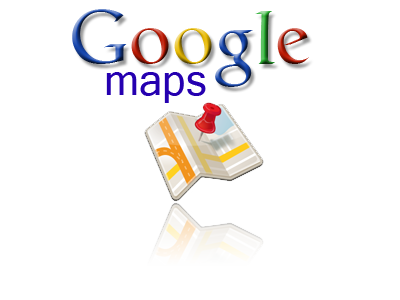 – Rice is a common ingredient in processed meals all over the world. So that there are many advantages if we use them on the prevention and treatment is better than medication. Most characteristic of purple rice has provided immediate energy but not fattening, has added nutrient reserves but no increase blood fats and fiber in rice will not cause indigestion. – The vitamins such as C, B1, B2, B3, B5, E and pre-vitamin A as well as the amount of mineral elements iron, magnesium, phosphorus, zinc, calcium, molybdenum, etc… necessary for optimal functioning of the immune system. – Anthocyanin in the crust of rice grains same as a protective effect IC, anti-aging, and especially to prevent the phenomenon of change in cell structure, that means cancer prevention. – Almost of the doctors in many Western countries must have had good reason to encourage using anthocyanin to prevent complications of diabetes in the post- cancer treatment. + People with diabetes can eat purple rice more than on the meal (for example: two bowls on meal if compare to eat only one bowls normal rice as before) but the hyperglycemia does not happen. + The specificity of HbA1C tests done before and after modeling clinical studies showed stable blood glucose levels after 60 days of using purple rice of Soc Trang province (once a day). + The symptoms of pain, numbness, fatigue, etc … clearly improved after 30 days of using Soc Trang purple rice (once a day). + Significantly reducing the amount of uric acid in patients combined Soc Trang purple rice in time is treated with specific drugs. Particularly rapid progress in reducing uric acid doubled compared to the group who were treated with specific drugs but no purple rice in the diet. + Homocysteine ​​levels in the blood return to normal one after eating Soc Trang purple rice on 10 days consecutive days constant. Prevention is always safe and simple is better than cure. We should know how to eat everyday so that we can use every capability and advantages of Soc Trang purple rice with many characteristics such as less sugar, protein, fiber… and anthocyanin in special rice crust of Mekong Delta in Vietnam. 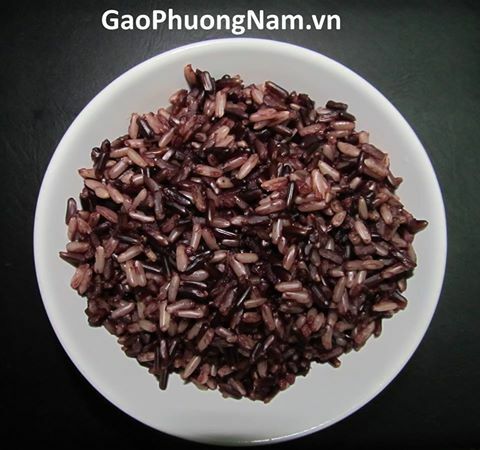 Where do you buy the Purple rice of Soc Trang Province in Viet Nam? Soc Trang purple rice at Phuong Nam Food SJC. The Phuong Nam Food Joint Stock Company. Hotline: 0909 34 99 88 or 0123 6768 000. Tags: anthocyamin, Purple rice, Purple rice of Soc Trang Province in Viet Nam, What is the Purple rice of Soc Trang Province in Viet Nam?, Where do you buy the Purple rice of Soc Trang Province in Viet Nam?, Why should we use the Purple rice of Soc Trang Province in Viet Nam on the meal every day?